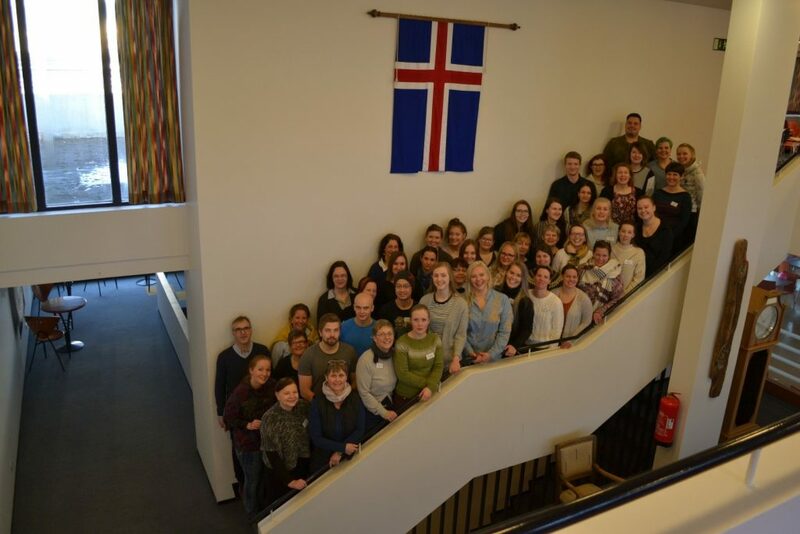 The bachelor students From Lapland University of Applied Sciences (LaplandUAS) were studying one week in beautiful Iceland learning about medication safety: two bachelor from Kemi campus, one from Rovaniemi and one teacher from Kemi campus. There were also more Finnish students and teachers from Lappeenranta, Turku, Helsinki and Åland. In total there were 47 students and teachers with us in Iceland from Denmark, Norway, Sweden, Estonia, Finland, Switzerland and Iceland. The representative from Switzerland was observer of the intensive week and did not receive any support from NordPlus. In the photo below all the participants of this intensive week can be seen in the stairs of the school. Intesive week was organised by the University of Iceland and it was hosted in a village called Laugarvatn. Laugarvatn is located 100km from Reykjavik and it has about 250 inhabitants. The village was located between lake and mountains. The participants stayed in school’s dorms and also studied there. The meals were in local high school. During this week the knowledge in medication safety increased. There were lectures conducted by teachers and groupwork among the bachelor and master students. The students made posters, had discussion, learning cafes and co operational learning in order to deepen the knowledge in different perspectives of medication safety. The lecturer of the second day Virpi Sulosaari (2018) was focusing on nurses´ role in the medication safety and medication errors in different perspectives. She highlighted that nurses are the largest professional group that is involved into medication administration. Medication therapy is a routine but complex activity that is one of the main responsibilities of the nurses in everyday working. Usually the nurses are the ones that commit the medication errors because they are the last person in the process of delivering medication to the patient. Principal lecturer Sulosaari lectured also about the reasons why medication therapy has increased globally. The health care has faced many changes during past decades. The different perspectives of medication errors were patient´s, nurse´s, nurse student´s, organization´s, public society´s and family member´s. She concretized the perspectives by examples from her own life. After that Bachelor students were deepening the perspectives of medication errors by preparing posters and presenting them to the other students. The same day afternoon PhD Ann Lykkegaard-Sörensen (2018) was lecturing about Safety culture perspective in medication process. She highlighted how errors do happen (Lykkegaard-Sörensen, A., Lisby, M., Nielsen, L.P., Klindt-Poulsen, B., Mainz J. 2013). She also made the students to understand the James Reason´s swiss cheese theory of errors/accidents. She pointed out that safety culture means that the staff have constant awareness that things can potentially go wrong, but also that people have an open and fair culture where everybody feel encouraged to tell if an error has happened. Safety culture means also that all people in the organization are committed to safety of the clients/patients. During the fourth day the topics for lectures and workshops were Interprofessional Collaboration and Best Practices in Promoting Medication Safety. 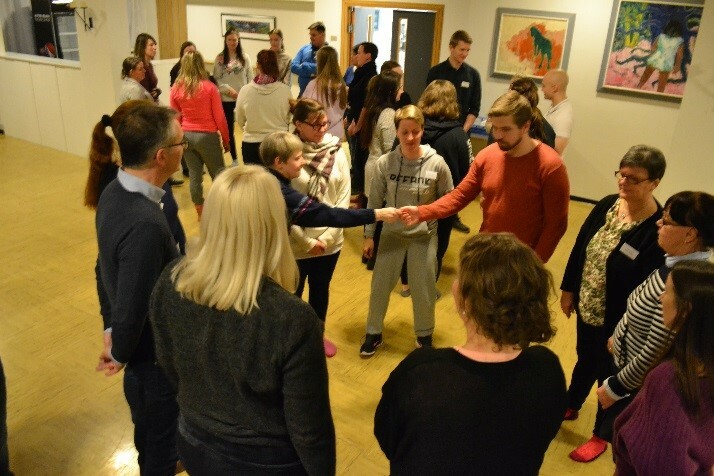 Senior lecturer Monique Toratti-Lindgren (2018) and Senior lecturer Lena Thunander Sundbom (2018) were focusing in the patient´s role in medication safety and communication between interprofessional groups. PhD Ann Lykkegaard – Sörensen was concentrating in pharmacological perspective on high risk medications. Some of her advices to the audience was: Know the high risk medications and especially those that are used in your working placement, Know weather your patient is getting the medication that is prescribed regarding to the absorption, distribution, metabolism and excretion in the patient´s body, (Saedder, E.A., Brock, B., Nielsen, L.P., Bonnerup, D.K., Lisby, M. 2014). She also encouraged the students to be proud of knowing the pharmacology and there is need to be proactive! Lecture on best practices in medication safety was given by PhD Margret Sigmundsdóttir (2018). She highlighted how you can make the medication administration safer by guidelines and having all the competencies needed in the safe medication process. She talked how important it is to know the factors that influence medication errors: knowing the risk patients, knowing the high risk medicines and take care the precautions. Use the checklist of nine rights. Educate your patients and encourage them to participate. Learn and practice your medication skills and competencies. She advised students to learn to know the patients and their medications, use memory aids, and they need to communicate clearly. PhD Sigmundsdóttir asked students also to report and learn from errors. The students also learned how medication safety is practiced in different Nordic countries. This week made students to think. It made them to think about their own actions. What can they do to provide better and safer medication therapy and care? “It all starts from us” they said after these experiences. What’s more, gaining new knowledge was not the only enjoyable thing the participants of the intensive week had of the course. During the intensive week, the participants had chances to socialize with friends and teachers from different countries, organize and participate in teamwork activities, learn about team spirit and professional pride. In the photos below all the participants are having program together with games like 007 or team working. There was also interesting time getting to know about Icelandic culture, history, language and nature. All in all, this was a wonderful trip which fulfilled not only the academic and professional perspectives, but also participants´ cultural, team spiritual and networking needs. 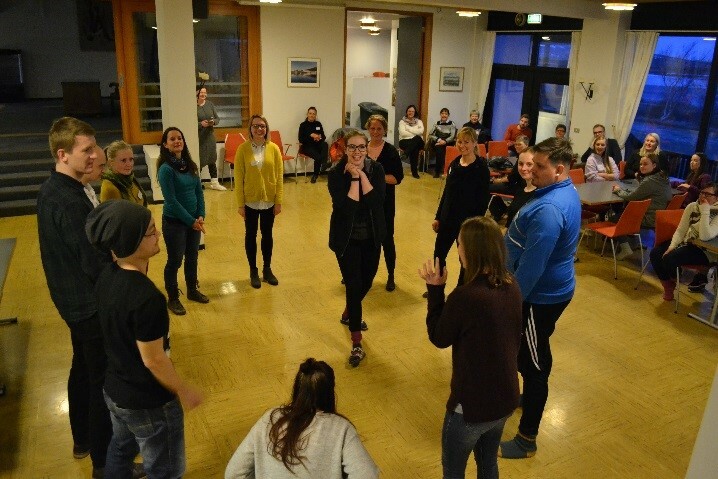 On the third day was the day of culture and learning to know and experience Iceland more close. This was a day for a trip around the countryside and sights of Icelandic countryside. Application of Nordplus Higher Education 2018. Name on project Network MEDICO/2018, Project ID NPHE-2018/10131, Registration of coordinating institution: University of Gävle Faculty of Health and Occupational Studies (SE-HiG). Saedder, E.A., Brock, B., Nielsen, L.P., Bonnerup, D.K., Lisby, M. 2014. Identifying high – risk medication: a systematic literature review. Eur J Clin Pharmacol 70:637-645. Sulosaari, V. 2018. Nurses and Medication safety. Lecture in Iceland, Laugarvatn 6.3.2018.